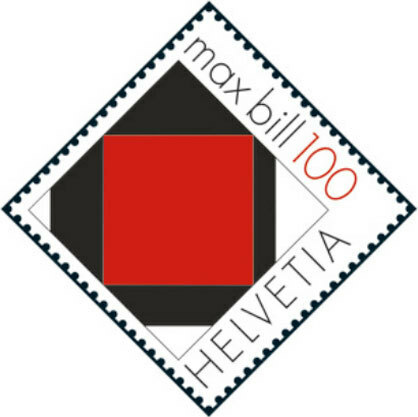 'Max Bill 100' is the title of an exhibition at 'Haus Konstruktiv' in Zurich (until 22.3.09) dedicated to the work of Max Bill, the internationally known artist, architect and product designer. On 22 December 2008 Bill would have been 100 years old, reason enough for a retrospective. At the same time (until 18. 01. 2009) the Ulmer Museum is showing, under the title 'max bill hundert jahre - die gute form’ (100-year anniversary of Max Bill - good design), a new edition of the exhibition 'die gute form’, which was conceived by Bill in 1949, the panels of which had long been regarded as lost. Who was Max Bill, a native of Switzerland who received much more attention abroad, especially in Germany and South America, than in his home country? The native of Winterthur was regarded as an 'enfant terrible' in many places. In 1924 he joined the silversmith course at the college of arts and crafts (Kunstgewerbeschule) in Zurich. However he was kicked out because the college did not think he approached the course with the right amount of seriousness – he often missed classes, or even turned up late for class wearing a carnival costume. From 1927-1928 he studied at Dessau's Bauhaus with Albers, Kandinsky, Klee, Moholy-Nagy and Schlemmer. An accident forced him to return to Switzerland, where he worked as a graphic artist and founded his own studio, 'bill-reklame', in 1929, devoting himself to architecture at the same time. From 1936 the anti-fascist Bill was involved with the magazine 'Information' as a journalist and typographer, which led in 1941 to the founding of the Allianz publishing house. From 1944–1945 the irony of fate brought him back to the college of arts and crafts (Kunstgewerbeschule) in Zurich, this time as a teacher. A drawer could be inserted between the upper rails. Distribution: Wohnbedarf Zürich, around 1953. Chipboard lacquered black, beech wood staves painted yellow and green. Was sold unpainted, so that purchasers could select their own colour. 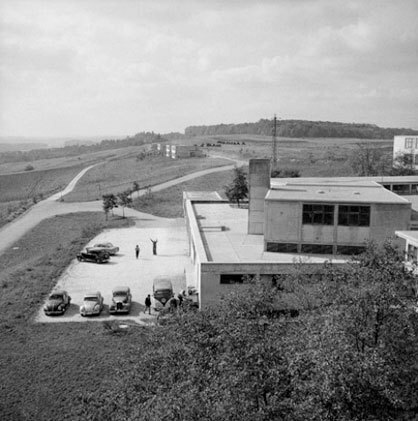 In 1950 Bill, the designer Otl Aicher and Inge Aicher-Scholl decided to found a college of design in Ulm. They regarded the reconstruction period in Germany as an opportunity to revive the ground-breaking philosophy of the interdisciplinary teachings of the Bauhaus in terms of both style and content, but now taking into account new production technology. Patronage of the private college was assumed by the Geschwister Scholl trust in memory of Inge Aicher-Scholl's sister and brother Sophie and Hans Scholl, who were executed by the Nazis in 1943 as members of the 'White rose' resistance group. Bill was appointed architect and rector of the new college. In contrast to the prevalent opinion at other colleges of design he taught that industrial design is closely linked to social and political responsibility and must not be influenced by considerations of profit. The future-oriented teaching model of the Ulm college of design failed, however, to make much of an impression on the more conservative teaching ideas of political opponents. 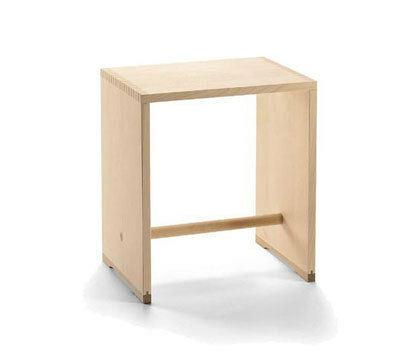 Max Bill; Hans Gugelot; Paul Hildinger, Ulmer Hocker (stool) – multi-functional item of furniture, material: spruce and beech wood, unpainted, two different heights, 1950. Kollektion Vitra Design Museum. Bill returned to Zurich in 1957. Painting and sculpture form a constant element running right through the whole of his work, but during this phase they increasingly took centre stage. Bill's political stance was expressed throughout his entire oeuvre – architecture, product design, his theoretical writings and directly in his political activities at the local and national levels. He died at Berlin airport on 9 December 1994. As a man Bill could be difficult, but his designs are characterised by clarity, simplicity, mathematical logic and a utilitarian approach. His objectives for his work are for it to be socially and politically responsible, technologically and aesthetically convincing and honest, without 'trick effects'. All in all this 'uomo universale' has succeeded in an impressive way in uniting the disciplines of art and design in his work. Bill's architectural oeuvre is characterised by a striving to create timeless buildings in which design, material and form are matched in harmonious dimensions and which are designed to meet the needs of the user. His work covers residential buildings, bridges and exhibition facilities. 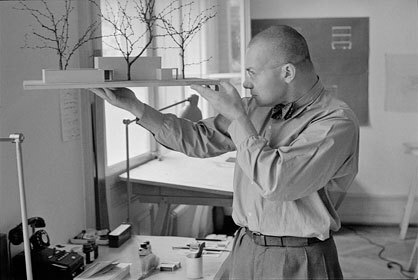 His early works include his own house in Zurich, which was completed in 1933, and a house made of prefabricated elements. He received awards for his exhibition buildings such as the 1936 Swiss pavilion at the 'Triennale Milano' and for his cooperations with Le Corbusier and Hans Schmidt. The college of design (Hochschule für Gestaltung) in Ulm is regarded as his architectural masterpiece. Designed in 1950, this building was one of Germany's first reinforced concrete structures. The Bauhaus influence and his design credentials are noticeable in this overall work of art, which covers the shell of the building, the interior decoration and the interior. In his late phase (1962–1977) he created the Radio Zurich building. In 1964 he developed a pavilion system for the state exhibition in Lausanne which enabled him to demonstrate the multifunctional flexibility of building sections. His interest in prefabricated construction modules corresponds with the interplay of constant and variable elements in his painting and sculptures. Stamp with pictorial motif 'red square' by Max Bill, 1946. Bill is regarded as a precursor of concrete art, which is based on mathematical and geometrical principles. The stamp is issued to mark the 100th anniversary of Bill's birth. Bill as the creator of 'good design'. The exhibition of the work federation (Werkbund) in Neubühl/Zurich and the founding of 'Wohnbedarf AG' in 1931 represented the breakthrough of the Swiss pioneers of classical modernism in the field of construction and design for living. 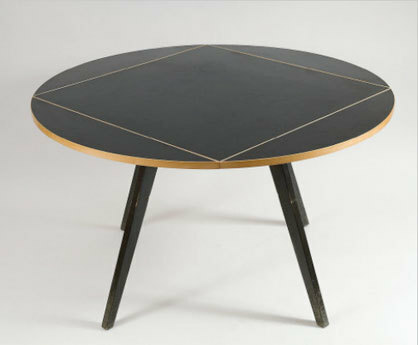 Although Bill did not yet appear on the list of furniture designers of the 'new living' (Neues Wohnen), his name is connected with the typographical work such as the 'Wohnbedarf' sign as well as the design of advertising and posters for Neubühl and Zett-Haus. 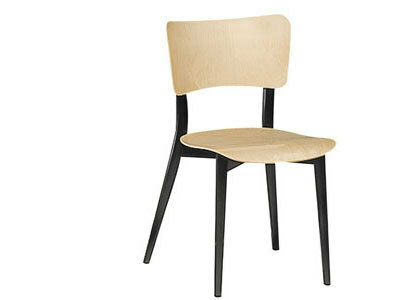 The Forties and Fifties were a period of great productivity for Bill's furniture and product design. In 1949 he conceived the 'gute form' travelling exhibition, which went on show in Switzerland, Germany and Austria. At the same time a designer group of the same name gathered around him. The exhibition was regarded as an important signal in a Europe which had been destroyed by war and in the reconstruction phase was also looking for new directions in design. An economical use of resources, functionality and long useful life were believed to be what was required – product features which were aimed at durability and contradicted the consumer society and the concept of disposability. Bill's product spectrum is multi-facetted. Apparently insignificant objects of everyday life were for him just as important as furniture design. The spectrum ranges from jewellery designs, the Patria typewriter (1944), a shaving brush (1945), a mirror and hairbrush set (1946) for which he won an award, a wash stand for the students' rooms in Ulm (1955), the aluminium handle for a piece of kitchen furniture (1956), crockery for Hutschenreuther (1956) right down to the legendary kitchen clock with its timer (1956/57), to mention only one of the many clock designs he created for the firm of Junghans. In 1959 his cutlery in hotel silver received the first prize of the 'international design competition for sterling silver flatware', while in the same year he developed prototypes for plastic coat hangers. The product diversity is virtually inexhaustible. His late works include the prototype of a residential sculpture, designed for Rosenthal in 1981 and a universally affordable work of art by Max Bill on the back of a wristwatch for the Omega Art Collection in 1987. 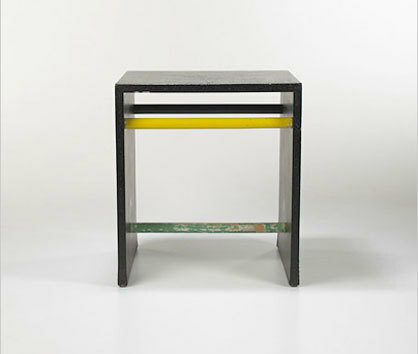 The 'Ulmer Hocker' (stool), which he created with Hans Gugelot and Paul Hildinger in 1950, can almost be regarded as an icon. Designed as a multi-purpose piece of furniture and available in two heights, the stool can be used for sitting, as shelving, a side table, transport container or tray. The name 'Ulmer Hocker' reveals the target group, because Bill has intended it in the truest sense of the word as a mobile and universally usable piece of furniture for the students at the Ulm college of design. Bill rejected the label 'designer'. 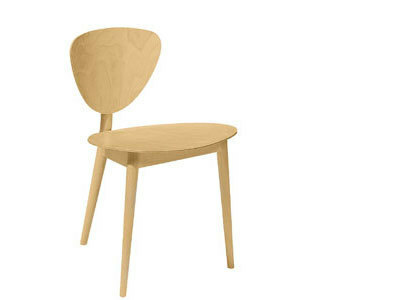 He regarded himself as a product designer, entirely in the service of the public. This is why Bill did not intend to create spectacular works of art, either in his product design, architecture, painting or sculpture. 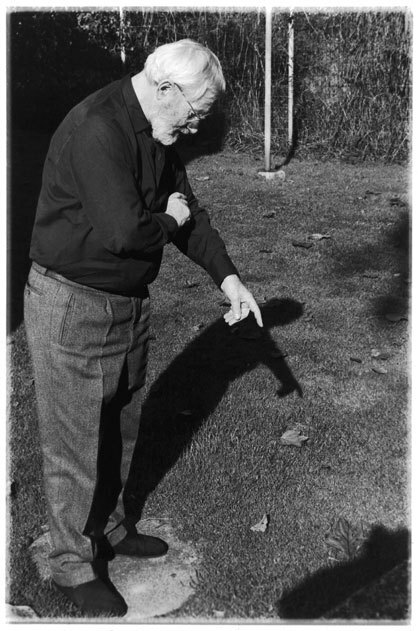 It is therefore also hardly surprising that in describing his approach Max Bill explains: "the difference between the design problems which have to be solved every day and works of painting and sculpture is merely one of degree, not one of principle".